Essence is originally from Chicago, IL where she began her college education. She has since transferred and is currently attending the University of Washington where she is double majoring in Biology and Psychology. She is interested in the psychology of disease, and when she graduates in the Spring of 2014 she plans on applying to medical school at the University of Washington -- her dream is to one day become a nephrologist. 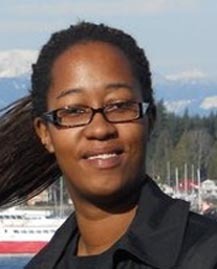 Essence's research interests include kidney disease, especially the use of stem cells in treating kidney disease, and the immunology and cellular mechanisms involved in disease. In her spare time, she loves to play with her two children and watch horror movies.